The Republic of Maldives celebrates its independence from the United Kingdom on July 26. Independence Day is one of the public holidays in Maldives. The Maldives became a British protectorate in 1887, when the Sultan of the Maldives signed a protection agreement with the British Governor of Ceylon. The islands retained internal self-government, but lost their sovereignty in foreign affairs. 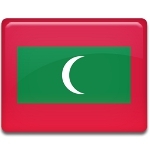 In 1953, Mohamed Amin Didi declared the First Republic of Maldives. However, the republic was short-lived. Six years later, three remote southern atolls separated from the sultanate and proclaimed themselves the United Suvadive Republic. In 1963, the Suvadives capitulated and rejoined with the rest of nation. The independence of Maldives was officially proclaimed on July 26, 1965, following an agreement with the United Kingdom. Maldives Independence Day is marked with various festive events held throughout the country. They include, but are not limited to, colorful parades and processions organized by the National Security Service and the National Cadet Corps, performances by schoolchildren, flag hoisting ceremonies. The biggest celebration is held at the Republic Square in the capital city of Malé.